Japanese people LOVE strawberry. 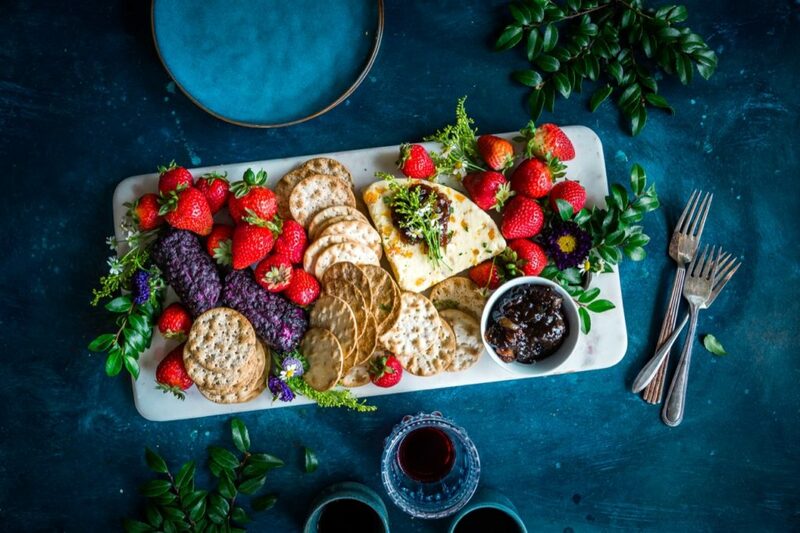 Every spring, there are a countless amount of strawberry products in the market today, strawberry cake, strawberry mochi, strawberry sandwich, strawberry tea, and fresh strawberry straight from the farm, to name a few. It is believed that strawberry was first brought to Japan from the west and was only enjoyed by the royalty back in the day when Samurais were killing bad guys with swords. Today domestically growth strawberry are affordable, but just like everything in Japan, there is a premium version of strawberry. A perfect heart shape strawberry with the perfect color and twice the size of a regular strawberry can cost $100 USD a piece. Who did we get here? First, the widespread of greenhouse strawberry lower the cost and made strawberry accessible to mass. Because marketing has done a very good job to associate strawberry with a pure heart, therefore pure love, strawberry has become the symbol of love. Just like a diamond, the bigger, the better the shape, the better the color, the more expensive. You would get a strawberry cake on valentines day from Family Mart for about 300 yen, or a “perfect” strawberry dipped in chocolate with eatable gold flakes on top for 30,000 yen at a nice restaurant with a view in Tokyo Bay. Both say “I Love You”, but I suppose one love much deeper than the other. What Does All Strawberry Have To Do In Okinawa? In 2013, Japan is the 7th largest strawberry producing country in the world. Not a big deal, but for a country that is so busy producing other stuff, strawberry put a small island country on the map. A big chunk of that comes from Okinawa. Ask the locals where to get find to strawberry in Okinawa, 9 out of 10 will point to Ginoza – the other one who points you somewhere else is probably due to the excessive amount of awamori consumption the night before, but he will probably say Ginoza once he is sober. 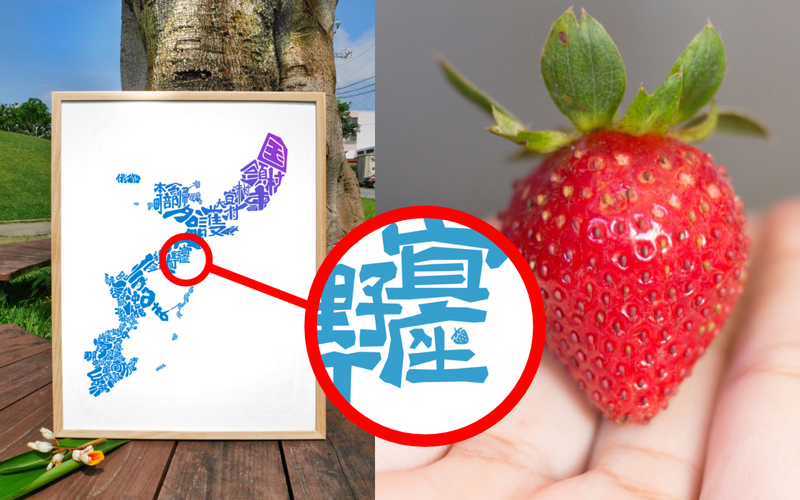 On your Okinawa Story Map (purchased 2018 spring onwards), you will see a strawberry hidden in Ginoza area. Ginoza is the place to go if you are looking to pick fresh strawberry in Okinawa. 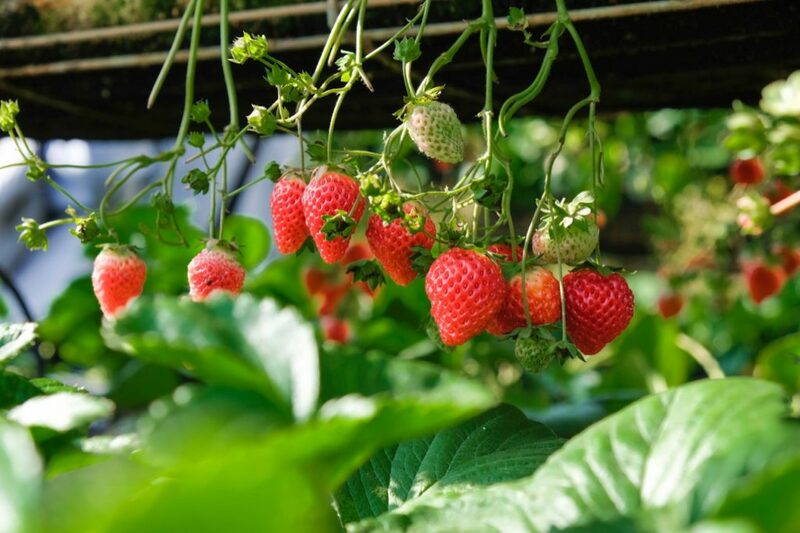 Most strawberries in Okinawa are grown in greenhouses. The entire experience felt more like pick strawberry from a lab than a farm. Despite that, from March through May every year when strawberries are abundant, please enjoy the variety of strawberry products in Okinawa. A fresh local strawberry sets you in the right mood to enjoy spring in Okinawa. 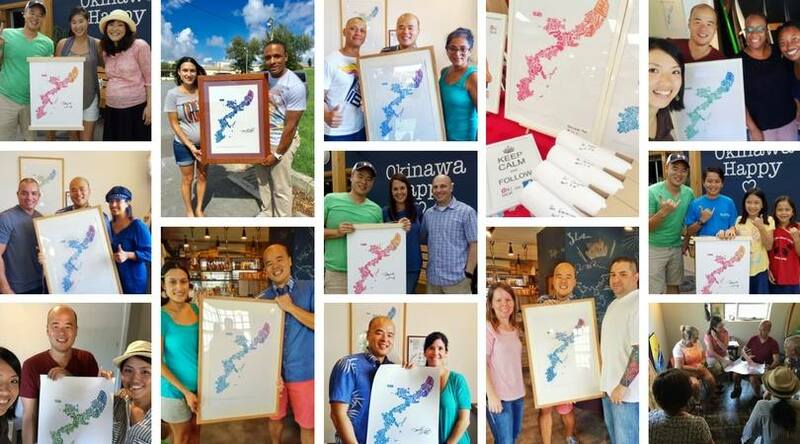 The Okinawa maps are sold in a number of locations in Okinawa, please find a store near you to buy the map. If you live outside of Okinawa or if you want to send a map to your friends and family, we can ship the map to anywhere outside of Okinawa. **The information in this article is written by the designer of the Okinawa Story Map based personal experience. It does not aim to be 100% accurate or academically correct. Please enjoy the stories and feel free to contact us if you have any questions regarding this article. Give us a boost. Share this please!